Though average U.S. commuting times remain “surprisingly stable” over the long-term – averaging roughly 26 minutes, according to the U.S. Census Bureau today, which is only about five minutes longer compared to the 1980s and 1990s – a new study indicates “significant shifts” are taking place at the extreme ends of the commuting spectrum. The study, issued March 14 and compiled by Apartment List, found that 3.5 million Americans – some 2.9 percent of the full-time working population – are “super commuters” who travel more than 90 minutes to work each way and their numbers have increased by 31.7 percent since 2005. At other end of the spectrum, 5.6 million Americans now work from home full-time, the report found – a number that’s grown 76 percent over the last 14 years. Apartment List’s researchers noted that both trends reflect changing preferences in today’s workforce and often correlate with higher pay. As of 2017, the median American worker employed full-time outside the home with a commute of less than 90 minutes earned $43,000 annually, they said, while the average “super commuter” earned $52,000 – some 20.9 percent more than those who spent less than 90 minutes commuting each way. However, those, working from home enjoyed an even greater wage premium of 28 percent as their median income hovered at $55,000. 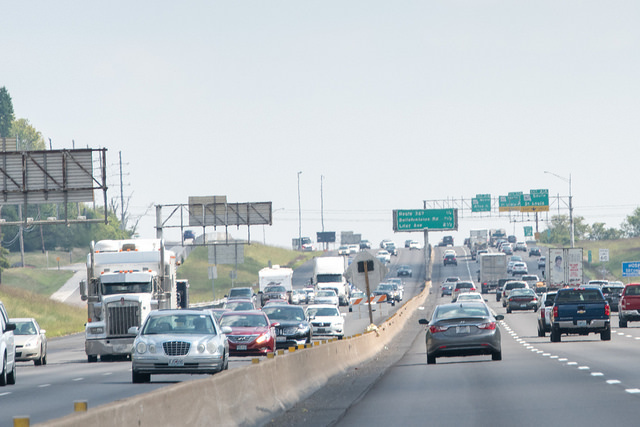 The American Association of State Highway and Transportation Officials helped craft a similar in-depth look at U.S. commuting trends nearly six years ago; a report that noted “new concerns and new realities” were modifying commuting patterns. Apartment List’s report also found “super commuters” are mostly concentrated in large metropolitan areas such as the San Francisco Bay Area, Los Angeles, New York City, Washington D.C., and Boston. They are also tied to key industries such as software, entertainment, finance, defense, and biotechnology. Meanwhile, the firm’s study determined that remote work-from-home employees are typically clustered in mid-sized cities such as Raleigh, NC, Denver, and Austin, TX. Autonomous vehicle technology eventually promises greater commuting ease and safety, they said, which would allow workers to move even farther from their jobs.